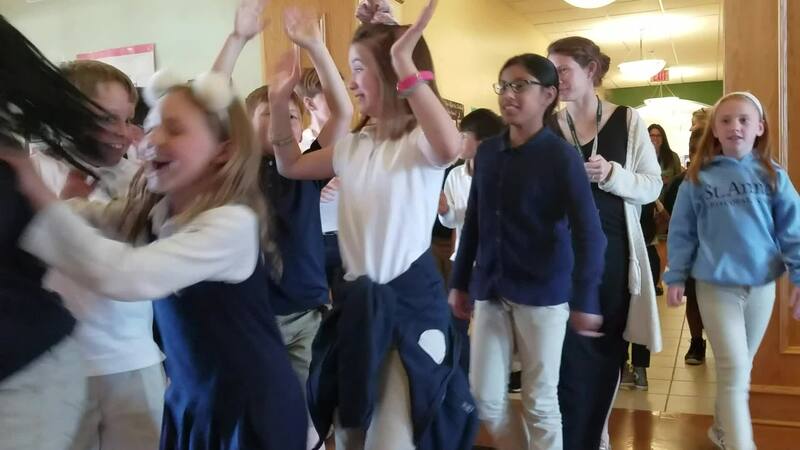 Our 3rd and 4th graders were so excited after the announcement of our next Head of School Barry L. Davis. Watch the video below! Families Are Invited to Culture Day on May 8th! Culture Day is a unique opportunity on Wednesday, May 8th from 12:00 - 3:00 PM. Join your St. Anne's student for an unforgettable afternoon! Read More about Families Are Invited to Culture Day on May 8th! "We take such joy now in seeing our children thrive..."
Read More about What is essential for the success of our children? St. Anne's Episcopal School Announces Next Head of School! Mr. Davis is coming to St. Anne’s from Greensboro Day School in Greensboro, North Carolina, where he has been the Middle School Director for four years. Read More about St. Anne's Episcopal School Announces Next Head of School! Important details regarding our upcoming Spring Concerts. We look forward to seeing you on Friday, April 26th, starting at 1:45 p.m.
Read More about Would you like to participate in Culture Day? It's Easy! Ashley Hartshorn's passion for her craft is clear as she shares how her teaching has evolved in recent years. Fourth graders went to Longwood Gardens this week in preparation for their unit in Art Class on the Impressionists. Our first book will be Maddi’s Fridge, written by Lois Brandt and illustrated by Vin Vogel.